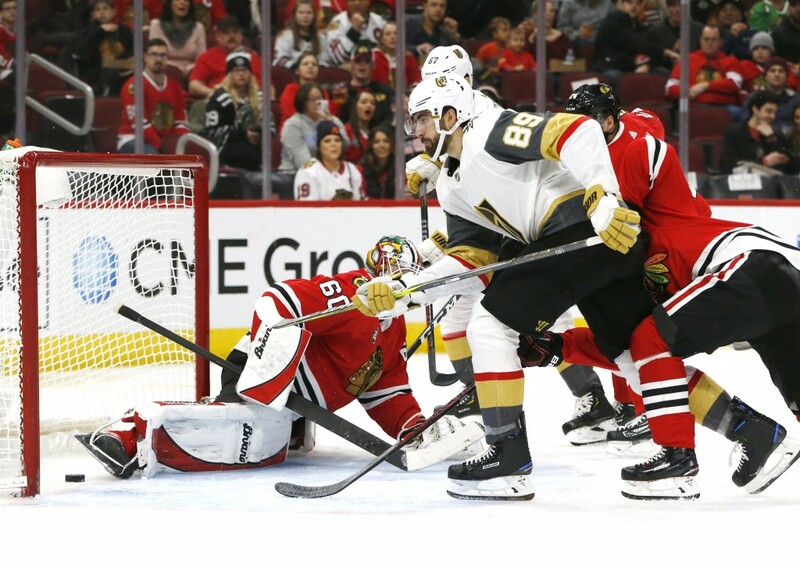 CHICAGO (AP) — Vegas defenseman Shea Theodore scored 1:19 into overtime when Chicago's Carl Dahlstrom slid the puck into his own net, lifting the Golden Knights to a 4-3 victory over the Blackhawks on Saturday night. 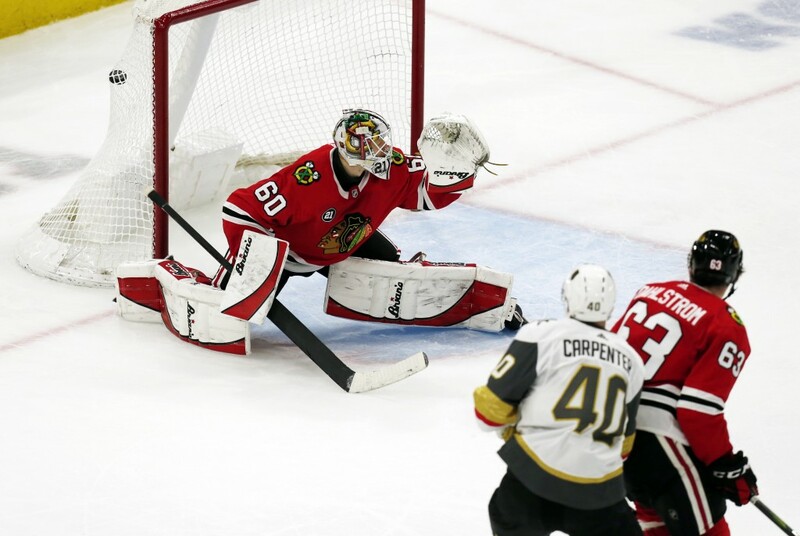 Chicago had a 3-1 lead in the final minute of the period when Carpenter deftly used Dahlstrom as a screen while sending a wicked wrist shot by Delia on the glove side. It was Carpenter's fourth of the season. 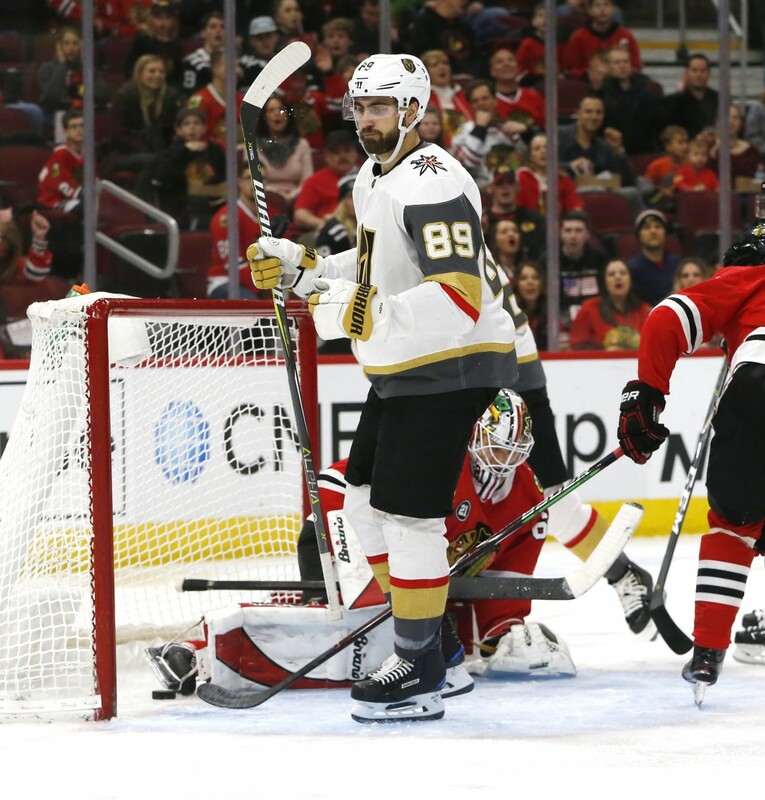 NOTES: Tuch has three goals and seven assists during his point streak. 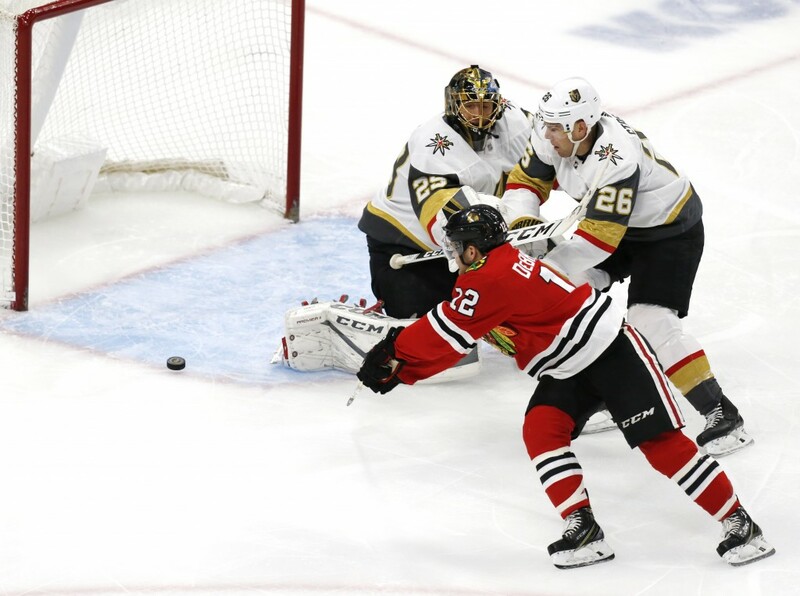 ... Vegas has won each of its six games against Chicago in its first two seasons. 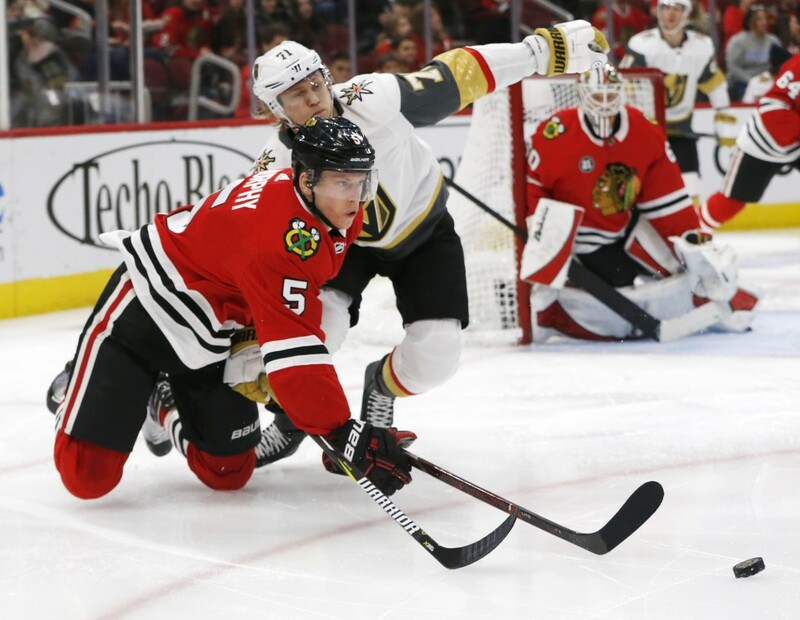 ... Blackhawks D Slater Koekkoek skated with his new team on Saturday morning, but was scratched against the Golden Knights. Koekkoek was acquired in a trade with Tampa Bay on Friday. ... Blackhawks F David Kampf celebrated his 24th birthday. ... Blackhawks D Erik Gustafsson extended his point streak to eight games.